DOWNTOWN — If you think driving on Lake Shore Drive as it passes through Downtown is a mess, you never drove on the infamous "Z-patterned" curve that connected the north and south sections of the roadway three decades ago. 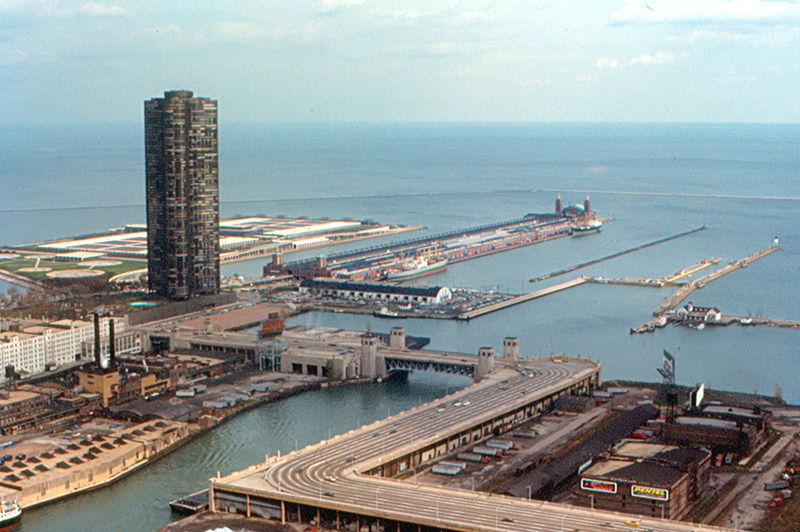 Thirty years ago, a new, gentler curve replaced the infamous section of The Drive just south of the Chicago River. The new section replaced a curve that John LaPlante, a city traffic engineer at the time, said was more like a "Z-pattern" and a "traffic disaster." It had been in use for 50 years and caused countless accidents. "Many people couldn't make that turn, especially if the weather was bad," said LaPlante, who's now retired and a Lincoln Square resident. "The bends were at more than 90 degrees." Sr. Editor Justin Breen imagines the 'S' curve in the days of texting. 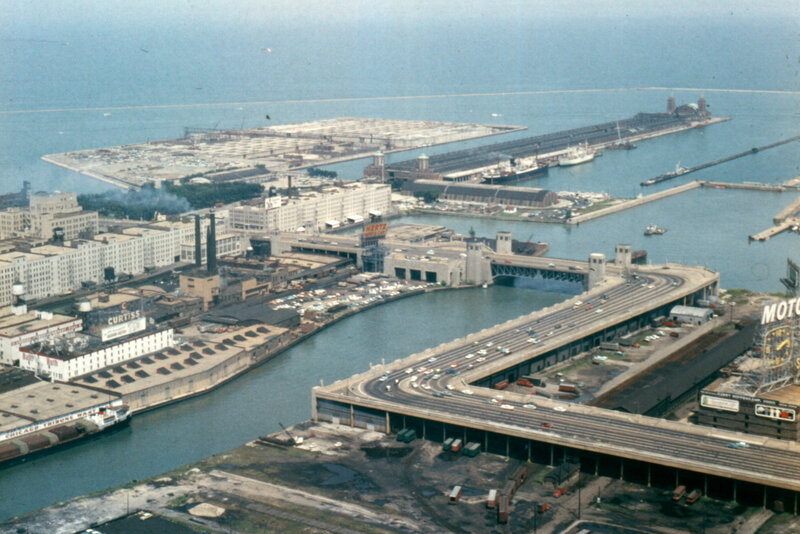 LaPlante, a Roseland native who graduated from Fenger High School and Illinois Institute of Technology, was asked to draw designs for a potential new S-curve in 1962 when he was a graduate student at Northwestern University and an intern for the Chicago Department of Transportation. Some of his designs were implemented into the new S-curve, which cost $90 million. The former curve, built in the 1930s when cars didn't travel as fast, featured two 90-degree angles: one just south of the Chicago River and another at Wacker Drive. "In the '30s, cars weren't going that fast, so you could make a turn, then make another turn," LaPlante said of the Z-curve formation. "By the 80s, people were saying we could do better than this. The curve being 'despised' I would guess is a good word to use." The current S-curve includes much gentler bends starting around Randolph Street and ending just before Monroe Street. Construction on the project began in 1982 and concluded in late 1986. Because the project utilized federal money, LaPlante said it had to employ standards from the federal and state highway administrations. 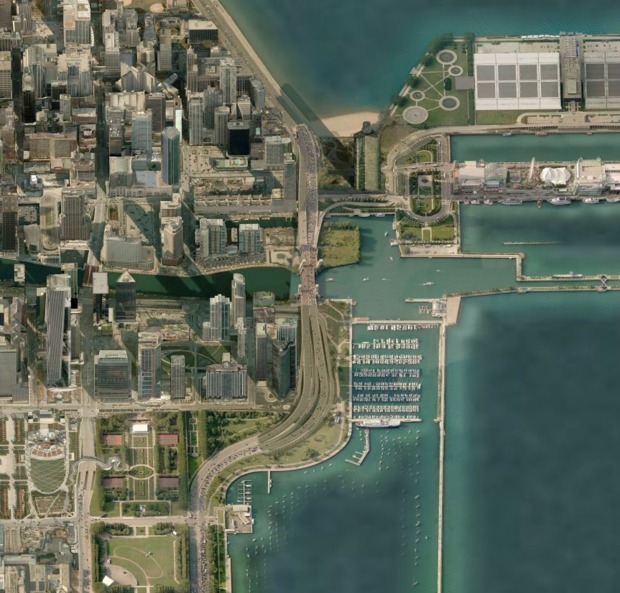 That means Lake Shore Drive is more like a highway — with four lanes in each direction, shoulders, 11-foot-wide lanes — than a parkway, which would have had 10-foot-wide lanes and no shoulder. But, like a parkway, Lake Shore Drive does not allow trucks. "It was maybe overdesigned if anything for an urban roadway," LaPlante said.